Delicious & Healthy Heart Smart Baking. 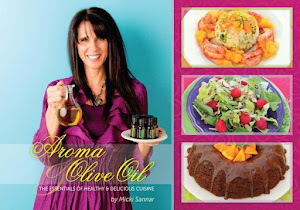 Did you know that by replacing all of your unhealthy fats with extra virgin olive oil, you can reduce your bad cholesterol? That's right, this study the FDA by replacing the unhealthy fat in your diet, with the healthy monounsaturated fat found in extra virgin olive oil you can reduce your risk for cardiovascular heart disease. 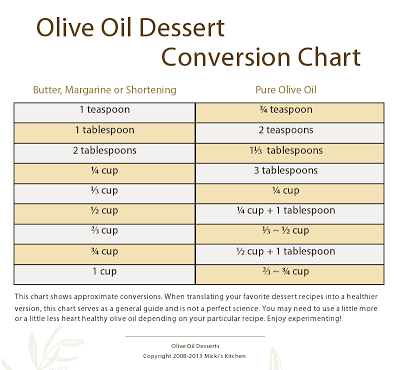 Okay, I get it, the thought of baking anything sweet with olive oil may sound a little strange at first, but just ask anyone who has tried one of my olive oil desserts, and they will tell you the taste is anything but strange. We even went so far as to ask random the strangers if they could guess what was the secret ingredient in the desserts they were sampling. View this video to see the results. So don't be afraid, you won't be disappointed and either will your family and friends. In fact, I would be surprised if they didn't say something like, " what are you doing to make this taste even more delicious! 1. Preheat oven to 375°F. Coat one 9-inch round or one 8-inch square baking pan with olive oil cooking spray. 2. In mixing bowl, blend together (by hand) olive oil, sugar, egg whites, egg, milk, and vanilla. 3. In medium size mixing bowl combine; flour, baking powder, and salt. 4. Fold frozen blueberries into flour mixture and toss until well coated. 5. Fold flour/blueberry mixture into moistened ingredients until just mixed. 6. Pour into prepared pan and sprinkle with streusel topping. Bake for 35~45 minutes or until a knife inserted into the center comes out clean. In small mixing bowl add flour, powdered sugar, cinnamon, salt, and olive oil. In small mixing bowl add powdered sugar and water. Blend until mixed. When streusel is ready, remove from oven and drizzle glaze on top while still hot. Why not give it a try and convert your dessert into a healthier version? 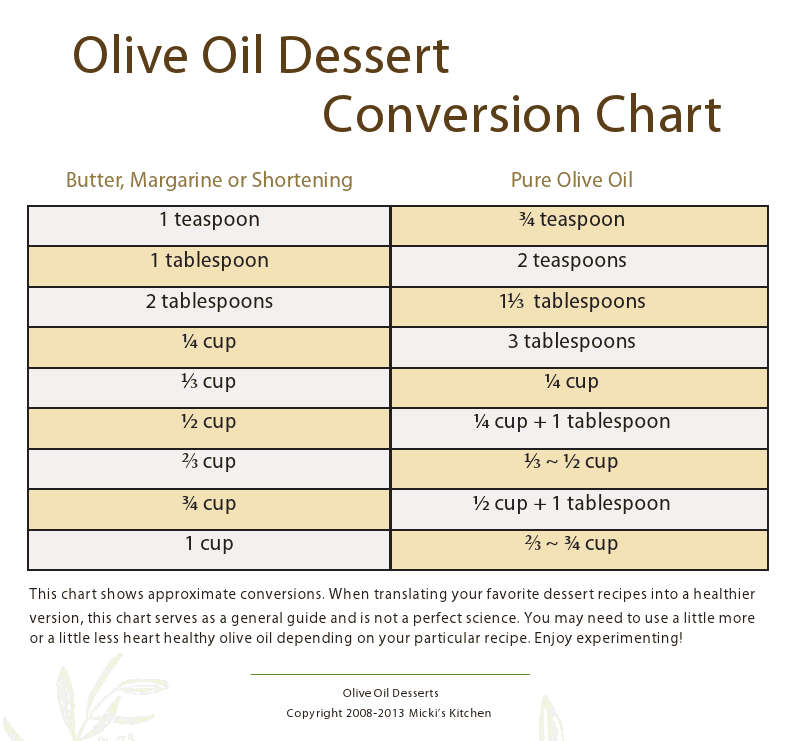 It's easy with this simple conversion chart.